Copyright ÂŠ 2016 by Randi Hodges. All rights reserved. 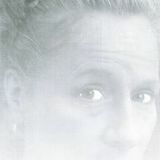 No part of this book may be used or reproduced by any means, graphic, electronic, or mechanical, including photocopying, recording, taping or by any information storage retrieval system without the written permission of the publisher except in the case of brief quotations embodied in critical articles and reviews. Because of the dynamic nature of the Internet, any web addresses or links contained in this book may have changed since publication and may no longer be valid. The views expressed in this work are solely those of the author and do not necessarily reflect the views of the publisher, and the publisher hereby disclaims any responsibility for them. approached much differently in terms of layout, set up, application and clean up. Finally, we are now in the legions of professional sand carvers and industrial sandblasters. As natural stone engravers, you are already knowledgeable in pressure pots; different abrasives and grits; moisture separation; pressure settings; nozzle size and compressor requirements. We are going to present the many aspects of natural stone engraving. We will discuss each aspect in detail, review various options you have and help you determine how you can find the necessary resources to succeed in natural stone engraving. Also provided are links to manufacturers’ websites and YouTube videos to show and explain the process to you. When discussing photo resist and plotter cutting processes, we will go into greater detail in subsequent chapters. We will also address the additional expense items. 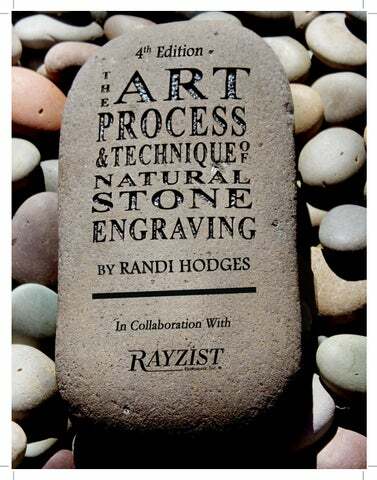 This chapter is a general overview of the fundamentals of stone engraving business. We will also explain how you can start this business with little or no cash outlay. Look throughout the manual for the Light Bulb and Stone for money saving opportunities. If you do not own the proper equipment for natural stone engraving or do not plan to purchase it anytime soon, we have provided you with information to “contract” out and rent equipment as you test the viability of this business for yourself. When and if you do decide to purchase your own equipment, it will be important for you to understand the following chapters because it may save you considerable expense in purchasing the right equipment. Our collaborating manufactures and preferred vendors have also put together some awesome packages for our readers. NICHE IN EVERY TOWN There is a need and a niche in every town that has pet lovers who experience pet loss. I feel that there is enough business for every Mom and Pop, (excuse the term) in every city across this country and beyond. A bit of motivation and effort, and you could be the “The Rock Guy or Gal or Family”(I was the Rock Lady, my sister was the “Other Rock Lady”) of Reseda or Des Moines. The person that “Carves It in Stone” is creating a lasting tribute. Does your community celebrate marriages and anniversaries? What about commemorating and honoring loved ones who passed away? Does your area offer local growers’ or farmers’ markets? That is where we started! Stone carving has always been symbolic, defying time and is about commemorating, memorializing, and celebrating special passages. Memorializing loved ones has been an industry for thousands of years in civilized society. In these times when finding authenticity is difficult, stone is universally solid, organic and real. “Carving It in Stone” is now an art form and your customers are waiting for you. It is a trade, a purpose, a service, a calling, an occupation, a profession, a vocation of yester year with the luxury of today’s technology. Life will always have special milestones, no matter the state of the economy! Our hope is that we have succeeded in providing you a complete and comprehensive reference guide. Collectively, we feel that the world of natural stone engraving is a rewarding and unique business. Milestones will always be celebrated and commemorated! Wishing you Rock Solid Success in this recession proof business opportunity. [mahyl-stohn] 1. A stone that shows the distance in miles to or from a place 2. A significant event or stage in the life, progress and development, 3. A significant historical period, etc. Entrepreneurs You are likely college educated and the underemployed. You are drawn to this opportunity because it makes perfect sense. This Manual Is Written For You Sand Carvers–ARA You are great at working with glass and creating awards, but are looking to expand your business. You have the equipment and software but you are frustrated because natural stone is handled much differently than glass. Sign Industry-ISA & SGIA You have all of the necessary software and the know-how. You have been looking for another revenue stream or hobby. You may already have sandblasting equipment for your sign making needs. Landscape Suppliers, Stone Vendors and Designers You already work with rock. Offering engraving services will provide additional value to your customers and expand your business. Monument and Memorial Professionals Natural stone is handled much differently than polished marble and granite. I know you too have been frustrated with clean up and the trouble you ran into when attempting to engrave natural stone. Due to the porous nature of natural stone, application and clean-up is handled much differently. Industrial Sandblasters If you are not engraving natural stone – you are losing business. This should be an easy read for you. Change your grit and nozzle – change your world. Perhaps you already have a mobile set up. You are a natural for numerous on site opportunities. Our manual shows you in detail how to select materials and vendors with live links and videos; where to find customers; how to get free business financing if you need it and how to become an artisan in natural stone engraving. We hope to become the first standard reference guide exclusively for Natural Stone Engraving. You could become one of the many who have already joined the lucrative sand carving industry. With over 17 years of creative, often painful, technical and practical experience, I now wish to share with you what I have learned. It has been a very rewarding career, we have sold a lot of stone and we have learned so very much. Read on you will discover the what and the why this is so. Start-up programs are available with many of our preferred vendors. We also will explain ways to start your own natural stone engraving business for as little as the cost of this book! Today My Best Friend Saved My Life Two friends were walking through the desert. During some point of the journey they had an argument: and the one friend slapped the other one in the face. The one who got slapped was hurt, but without saying anything, wrote in the sand. Today my best friend slapped me in the face. They kept on walking until they found an oasis where they decided to take a bath. The one who had been slapped got stuck in the mire and started drowning, but his friend saved him. After he recovered from the near drowning, he wrote on a stone: “Today my best friend saved my life.” The one who had slapped and saved his best friend asked him, “after I hurt you, you wrote in the sand and now you wrote on a stone, why?” The friend replied, “when someone hurts us, we should write it in the sand where winds of forgiveness can erase it away, but when someone does something good for us, we must engrave it in stone where no wind can ever erase it.” Learn to write your hurts in the sand and to carve your benefits in stone. town, between the vets, memorial homes, cemetery sextons, realtors and craft and growers’ markets, you would do great. These were my beginnings. We are now in our 19th year. Since this is the newest edition, I will not proceed with the details in-between: we went bigger, we went bolder, bigger shops, smaller shops, built shops, hired and fired web masters, we went mobile, went “postal”, we went smaller, we added wholesale, dropped wholesale. What a journey! We have learned so much. We would like to be known as the industry leaders in NATURAL STONE ENGRAVING. We may form an association, NSEA (Natural Stone Engraving Association) which could effectively unite us and allow us to share information. Who knows? When we sold the business in August 2012, our team included 4 full-time & 6 part-time employees, two of which are â&#x20AC;&#x153;Master Engravers,â&#x20AC;? with over 31 years of combined experience. Our team has engraved 9 Over 140 tons of natural river stone. 9 Over 952,000 stones for companies like Ford Motors (they alone ordered 131,000). 9 Over 85,000 stones for gifts, corporate, weddings, anniversaries, celebrations, proposals, commemoratives, memorials (people and pets), cornerstones, family stones, address stones, affirmations, meditations and contracts. The list goes on and on. (See the gallery in the back for examples of our work.) I now have the time to develop this e-manual. I remain the pinch hitter for the new owners at Stone Wise if needed. I wish them the very best with all my heart, soul, blood, sweat and tears. Also, a whole lot of love for the years of loyalty, patronage and glorious feedback during our 19 years of service from so many wonderful customers and friends! I only wish the same for you! *** WHO IS OUR COLLABORATOR RAYZIST? https://goo.gl/AlduzQ “Rayzist Photomask, Inc. is the world’s leading manufacturer of photoresist films and sand carving equipment. Our position within the industry affords us the advantage of scale, but it is our approach to serving you, our customer, that sets us apart.” (Rayzist.com) Rayzist offers the industry’s most complete product line, which includes everything from sand carving systems, to films and supplies. It is basically the one-stop-shop for natural stone engraving needs and it is open 24/7. As an owner of this manual, you will receive an access number for huge savings, custom packages on equipment and films, as well as stock stencil packages. You will also be invited to take advantage of their monthly special only for access number holders provided to you as manual buyers. Throughout the manual we will be directing you to the Rayzist site for additional information, such as their educational videos, ordering links and product and pricing information. You will need to research your local area to see what sources are available to you. Here are some possibilities: x Your entire operation depends upon this not so minor piece, so this is where we will begin our journey. Do you have the ability to locate and secure the right kind of rocks? These stones must be the right size, have a relatively smooth surface and not be chipped, flawed or too porous. They must be attractive and sit nicely. Companies. Given the unusual beauty of the specialty stones, the higher price was seldom an issue to my customers. Don’t be afraid to branch out. It may be worth the trouble to travel to the next town yourself in order to get what you need. If you’re having rocks delivered to your location, keep in mind that most rock yards have a minimum amount. You may end up ordering more than you need and many that you cannot use. Folks also sent us personal stones to engrave ALL the time from all over the planet. This was awesome! We charged $20 minimum and $7.85 S&H. This seems to be working out very well. These are typically softer and lighter stones to work with. There are many unique, uniform tumbled stone from many of the landscape supply yards. These are perfect for fund raising options, or special programs you may offer. Our supplier for this is COVERALL STONE here in the Northwest. Wonderful Malaysian pastels~ they engrave like a dream! Peach, white, key lime green and beautiful mauve beige. Many outlets countrywide are now carrying these specialty stones. They are wedding favor favorites and can be found at many US rock distributors. Check your local yards. rocks. As with all natural stones, color and shape will vary from stone to stone. 2. Slab Cut: Slab cut are vast in variety. Every now and then our vendor rock yard acquired specialty stones; these were one-time-only buys. They were rough with tumbled edges. I discovered that the lighter they were, the better they were for engraving. Sandstone is a dream to sandblast, just make sure the stone is not flaky. Also make sure that these stones are very dry before processing them. Many of them hold moisture like sponges and will undermine your stencil adhesion. quarry runs. We engraved some truly beautiful stone. As jobs came up, knowing which special stones were in stock, I sold them and placed them with the right families. These stones did not fit in any categories, but they were always stunning stones. After we offered our customers a description, these dâ&#x20AC;&#x2122;jours were always well received. Rock Sizes Most of our standard rocks fit into the size categories of pocket, tiny, mini, small, medium, and large. We used these measurements to determine how much text/artwork can be comfortably stenciled and blasted on each and, therefore, how we price them. Our memorial stones are much larger and are priced according to their unique sizes, qualities, and the amount of text and artwork used. More on sizing and specifics in chapter two. We ordered these slate stepping stones from a company in Texas. Last I heard they went out of business, but were great sellers if you can find a vendor. TEASER 8 16 "THE ART, PROCESS & TECHNIQUE OF NATURAL STONE ENGRAVING"